Jasmine Egyptian CottonAll SDH and Purists bedding collections are meticulously crafted and woven in Italy. New from SDH is the Josephine and Napoleon collections. The delicate, detailed beauty of a botanical combines with the tailored simplicity of a pinstripe in luxurious Egyptian Cotton. Woven in Italy to exact specifications to create an exquisite combination that is timeless in its design and contemporary in its bold colorations; chocolate, crocodile, or grape. These colors are amazing! Legna Seville or Legna Classic Solid in the new Oro color, a perfect golden hue that compliments the Josephine and Napoleon Chocolate collection is one of many SDH bedding items that can be added for layering and a more personal touch. 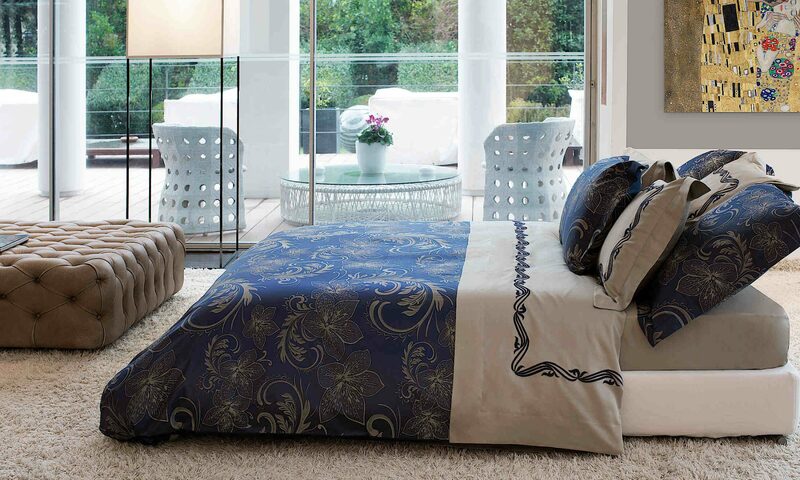 Also try pairing Far East Matelasse covers and shams and SDH Sateen sheets.